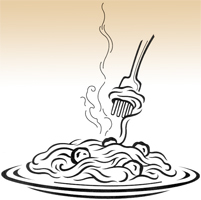 St. Andrew Lutheran Church, 1015 Four Mile Road, will host a spaghetti dinner and pie/cake auction to raise money toward attending the 2015 ELCA Youth Gathering in Detroit. St. Andrew would love to have members of its fellow FaithWorks congregations join them. Doors will open at 5:30 p.m. Saturday, March 14 with a sit-down dinner at 6:00. Tickets are $10.00 per adult, $7.50 per child age 4 to 10, free for kids under 3. If you would like tickets or have any questions, please give Terri Nelson a call at 262-497-3953.